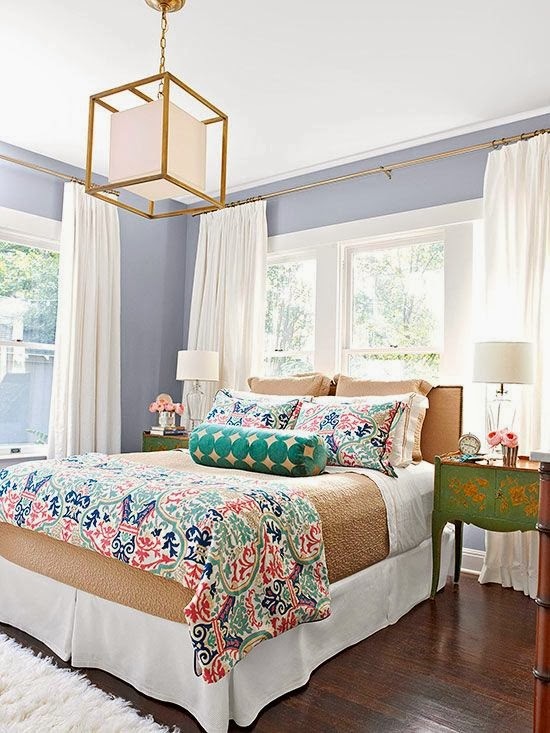 Creating a bed that is comfortable, cozy and stylish can sometimes be a tricky thing to pull off. Not only do you want a relaxing haven to rest your pretty little head, you also want it to look pretty. When designing bedding for a client or model home, I love to mix different textures, colors and patterns to achieve an eclectic look. 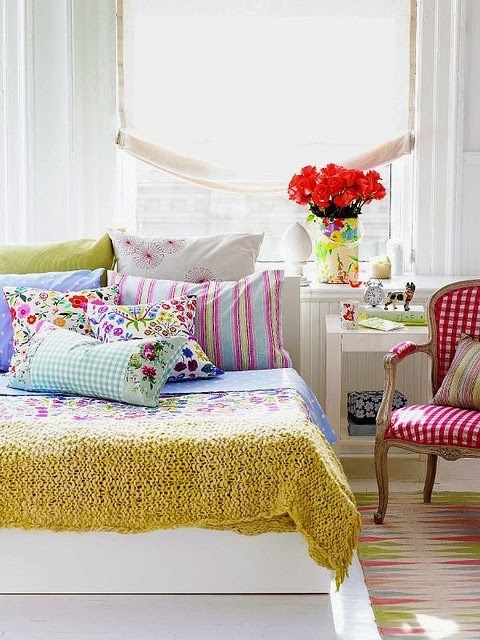 The last thing I want to do is make it look like I bought bedding in a bag where everything matches. 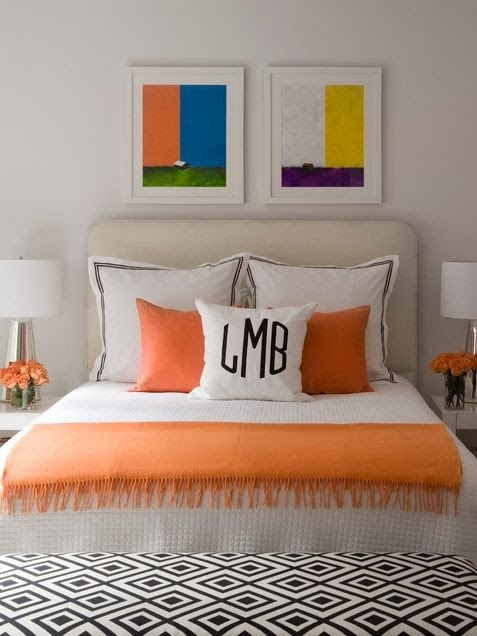 I usually style a bed by layering duvets, pretty sheets, cozy throws and fun accent pillows. What do you prefer on your bed? Lots of pillows? Expensive sheets? A minimal "less is more" look? Do tell! Beautiful photos, inspiring interior design ideas. I like a lot, especially the first. I'm a big fan of layering up. I like to start with a thick and snug duvet, on top of this I like to put a quilt over the end of the bed followed by a blanket and then thinner / smaller blanket which acts as a runner. I like to use 3 cushions in front of the pillows - normally two square matching and then a rectangular cushion in front of that. I completely agree, I think that the key is to use lots of textures and materials - I don't like too matchy matchy but I do like working within a colour palette and then perhaps adding a bold pop of colour here or there for interest! Gorgeous images!! Love the different layers. I definitely like the eclectic look. Can you tell me where the rug in the 2nd photo came from? Camel walls, white bed with bench? Can you tell me where the rug came from in the 2nd photo? Camel colored walls, white bed with bench at foot of bed?